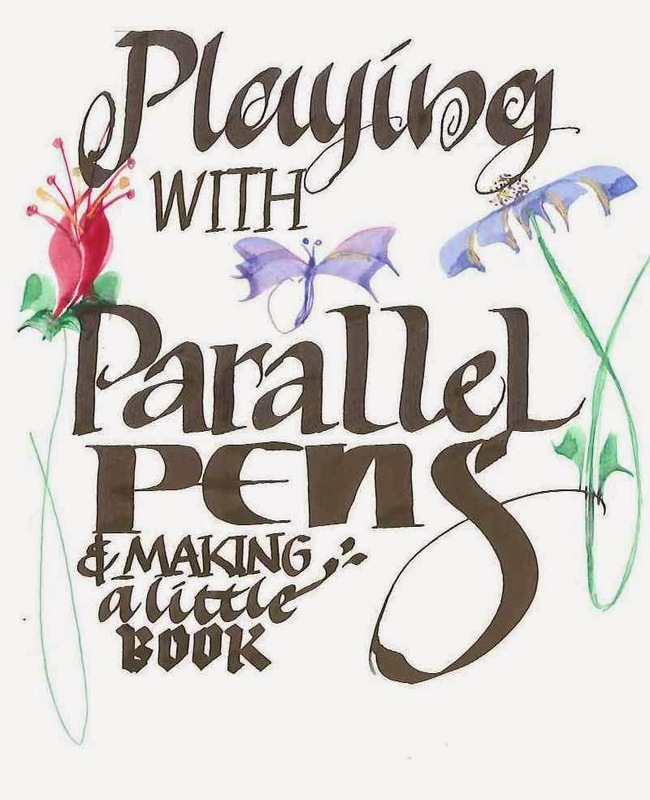 A fun Parallel Pen workshop for experimentation, learning to use your pens, and making a little book to keep all your examples in. For those of you who have parallel pens and want to learn more about them, bring your pens with you and come and join us on 7 April 6.30 – 9pm at Gifford Gallery, 27 Poronui Street, Mt Eden, Auckland 1024, cost for the evening $10 and please be on time as we have lots to do. Bring all your Parallel pens, we will show you how to remove the ink cartridge so that you can use this with water and or colour, also a useful skill so you can keep the nib assembly clean and flowing well. I keep my 6.0mm and 1.5mm clean and only used water. Other things to bring if you have them:- Water colour paints, Gouache pans or tubes, a small palate to hold the paints (buy palate from a $2 shop) old small brush, A3 cartridge paper or Zeta paper. Pencil, rubber, ruler, cutter knife for cutting paper. This is open to ABC members who have Parallel pens and would like to attend. Looking forward to seeing you, if you need to contact me please email me at dalecormackpearson36@gmail.com.